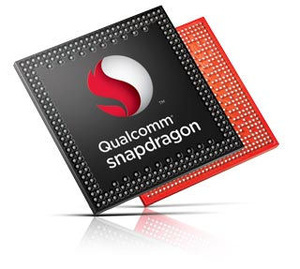 Qualcomm has announced the Snapdragon 810 and Snapsragon 808 chips that will power next-generation smartphones from 2015. The chipmaker says the 810 and 808 are its most powerful chips yet, with vast improvements for video, imaging, graphics and connectivity. Both 64-bit chips implement Cat 6 LTE Advanced on-chip, designed with 20nm fabrication technology which delivers more performance at comparatively low power consumption. The Snapdragon 810 is definitely the one to covet of the two. Here is a run down of what it boasts. Adreno 430 is 30 percent faster than Adreno 420, 100 percent faster for GPGPU operations. The Snapdragon 810 and Snapdragon 808 won't be deployed in products until 2015 at earliest, as the 64-bit Snapdragon 610 and Snapdragon 615 were only announced in February and will only be deployed in the forthcoming holiday season. Qualcomm's decision to reveal the details of these next-gen chips so early is likely driven by increasing competition in the space for mobile chips. Sounds like overkill for a smartphone.......Probably better suited for set top boxes and desktop computers/servers.